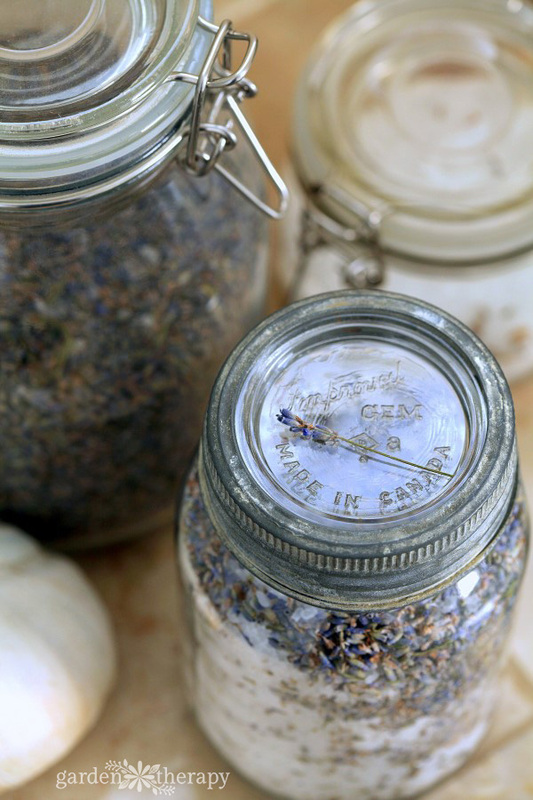 Making fragrant jars of homemade bath salts couldn’t be easier. In vintage Mason jars, bath salts look beautiful on display and make wonderful gifts. Here is a recipe to make your own in just a few simple steps. 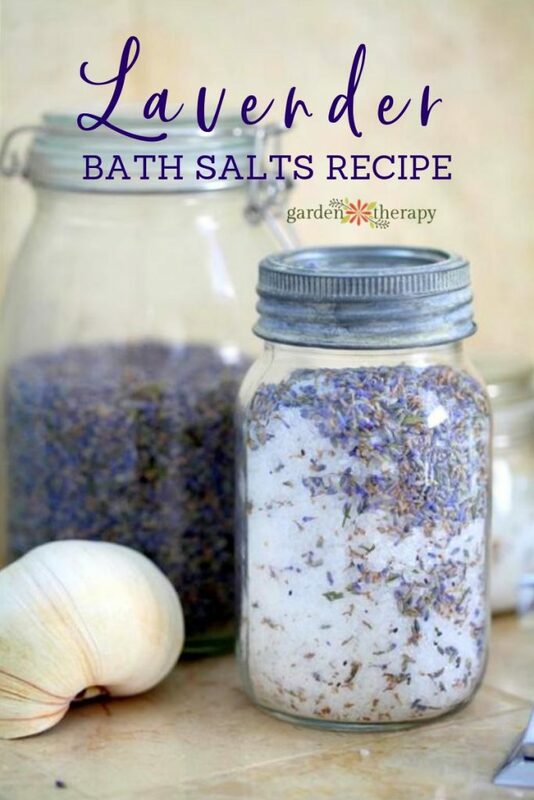 Lavender has plenty of healing and cleansing properties, making it the perfect addition to a jar of bath salts. I also love how beautiful lavender buds look in a clear jar of bath salts, especially if I want to present it to someone as a gift. Sometimes when lavender dries it turns gray or brown, but there are a few things you can do to help the buds keep their pretty purple color. Any lavender can be harvested and dried for use, but Purple Bouquet, Royal Purple, and Folgate lavenders hold their color especially well as they dry out. Cut your lavender from the plant just before the blooms open for the best color. I like to leave at least some blooms to open in the garden for the bees, though. 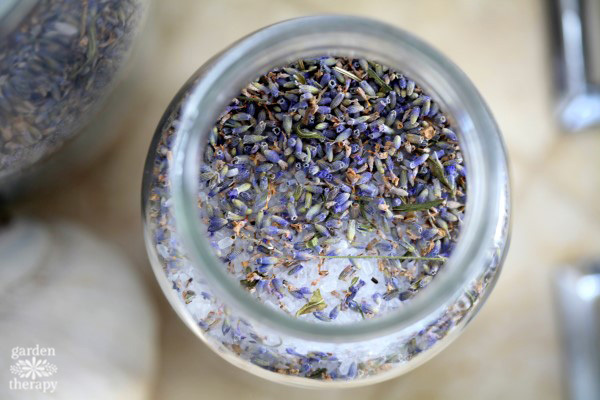 I like to keep my lavender (and my lavender bath salts) in a clear glass jar, but exposing the dried buds to light will make them lose their color, so keep the jar of lavender hidden away in a dark cupboard or drawer. 1. Fill each Mason jar about halfway full of the Epsom salts. 2. Add just 10-15 drops of essential oil, replace lid, and shake. 3. 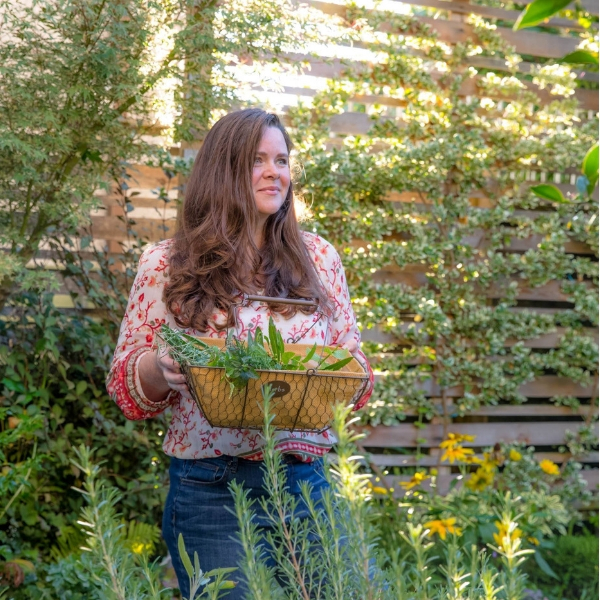 Remove the lid again, add 1 tablespoon of dried lavender flowers, replace lid and shake (again). 4. Add more Epsom salts to fill the jar and then (you guessed it) replace the lid and shake shake shake. 5. Optional: download and print these freebie canning labels to dress up the jars. This is really amazing. I like it. Thanks for this sharing wonderful article. 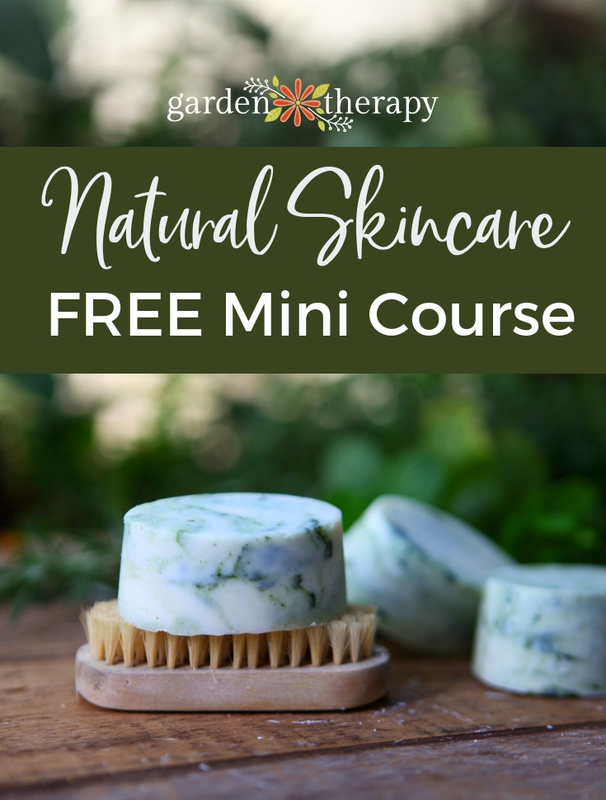 How much of the salts do you use in the bath? It depends on the size of your bath. I use 1 cup for a large soaker tub. Will the lavender buds plug your tub drain?